Maestro Cares Foundation and CMN, Inc.’s staff volunteered for Habitat for Humanity Chicago. This organization seeks to build homes in the efforts to eliminate poverty housing and homelessness. There are 16 single family homes undergoing construction in the 34th ward of Chicago which is the third largest geographical ward in the city. Maestro Cares Foundation’s staff helped in various types of activities from framing, hanging doors, cleaning and painting. It was a great experience for the staff to first-hand see the process of building a home. 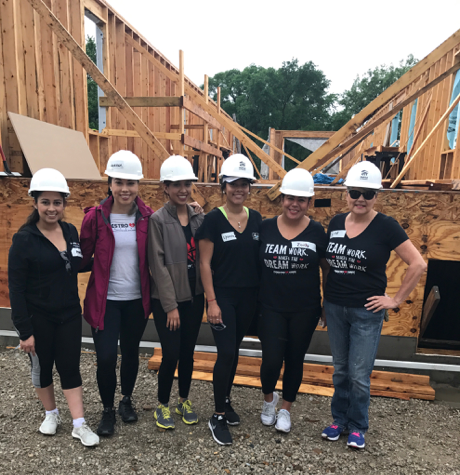 Maestro Cares Foundation is happy to support foundations like Habitat for Humanity Chicago that have a shared understanding of the importance of building homes to improve the lives of those in need.